Left Behind (182/365 year 3) – Annoyingly Boring? 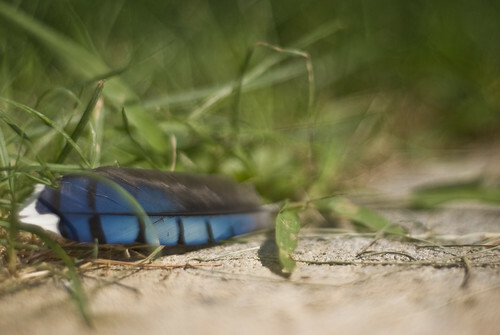 Blue Jay feather on the edge of our patio. Had a feeling that Monday was going to be a ‘I don’t feel like shooting today day’ so I took this in the morning and then put the camera down for the rest of the day. If that is the only shot you got that day, it was a great one. I did take a handful of the feather, this was my favorite.